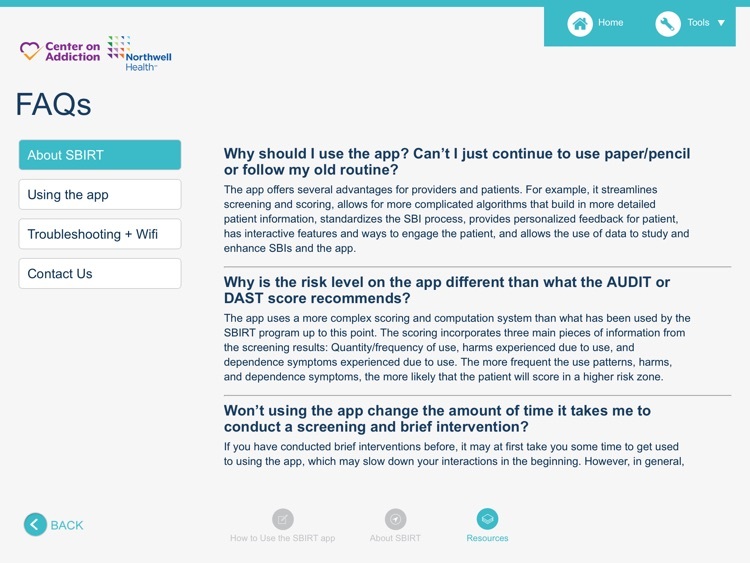 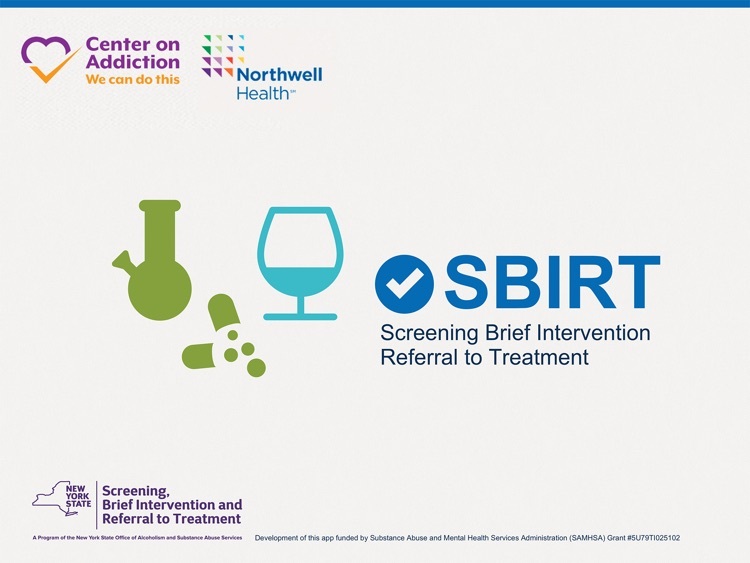 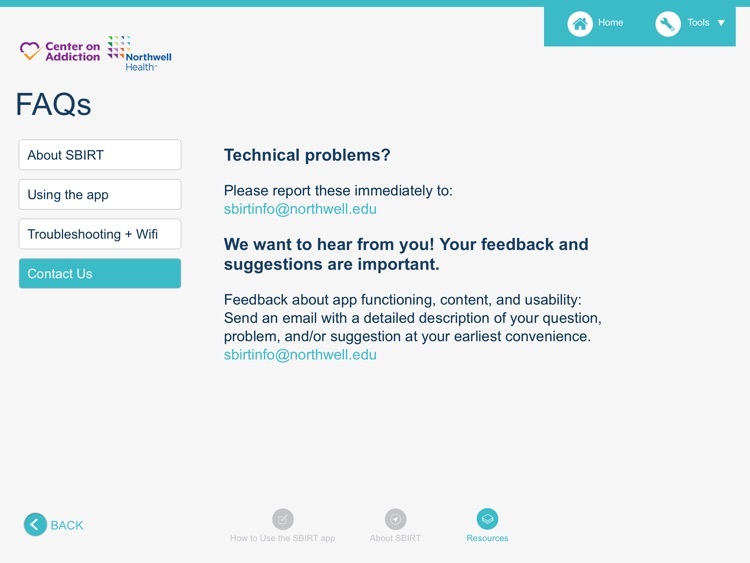 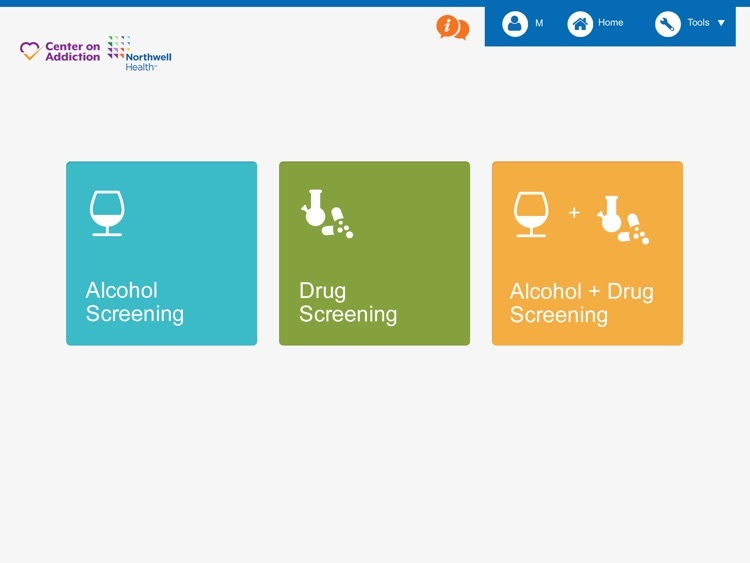 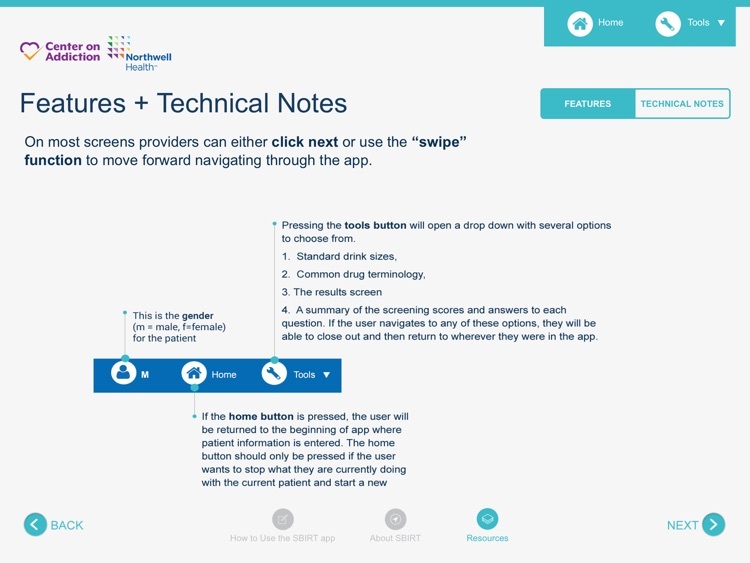 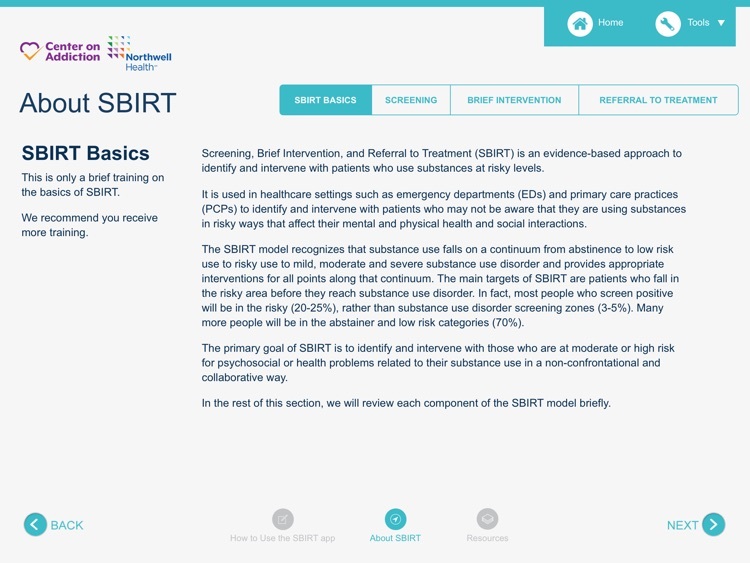 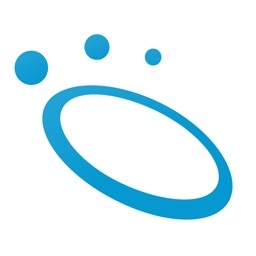 The Screening, Brief Intervention, and Referral to Treatment (SBIRT) tablet app was jointly developed by Center on Addiction and Northwell Health to aid healthcare providers in conducting screening and brief intervention with patients in healthcare settings. 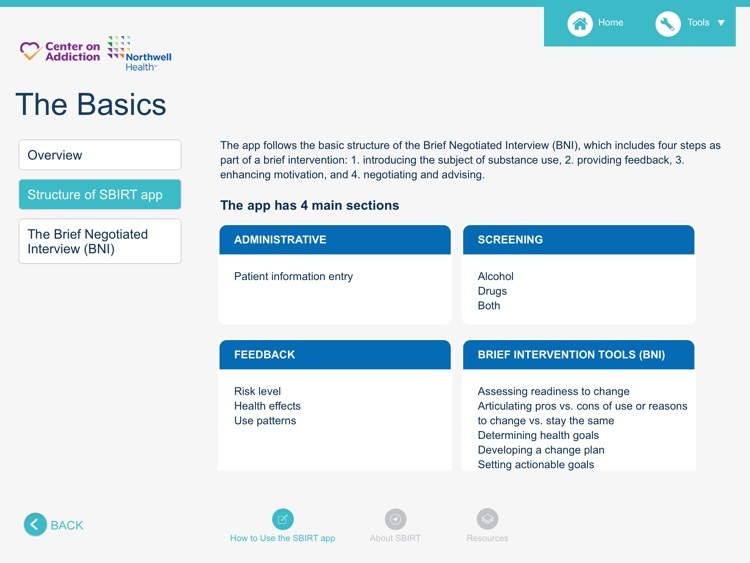 The goal of this app is to standardize and streamline screening for risky substance use, provide individualized feedback to patients based on the screening data, and supply standard tools for brief intervention to enhance discussion of motivation and goal setting. 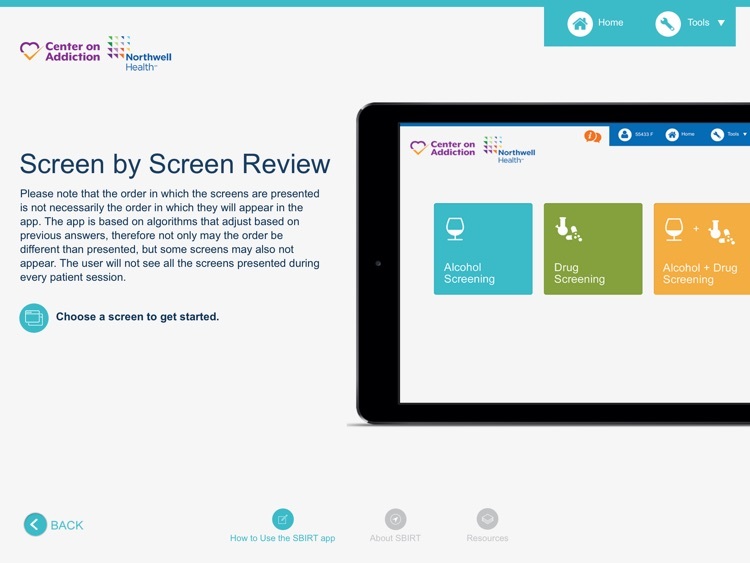 It is a user-friendly, interactive tool that is meant to enhance the screening and brief intervention process for both the provider and the patient. 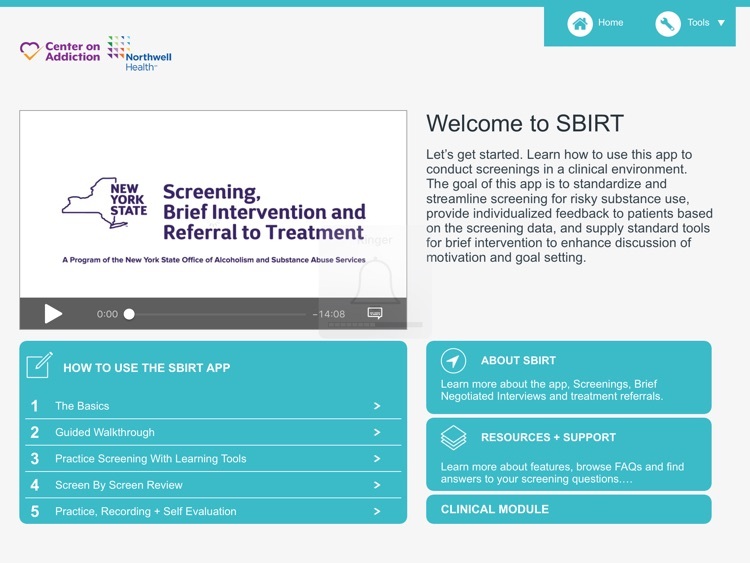 It is to be used by the provider with the patient, rather for patients to use independently. 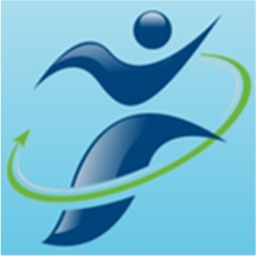 The app also includes a training module for healthcare providers to learn more about SBIRT and how to use the app. 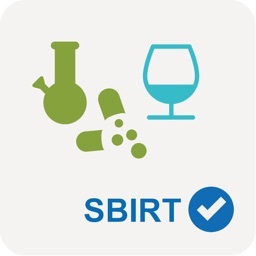 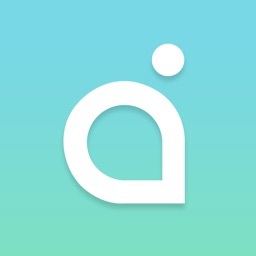 Development of this app was funded by the Substance Abuse and Mental Health Services Administration (SAMHSA) Grant (#5U79TI025102) to the New York State Office of Alcoholism and Substance Abuse Services (OASAS). 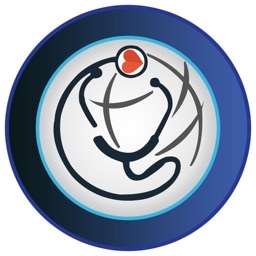 SOS Doctor House Call Inc.